Farm house, seaside, or in an urban warehouse loft, this console will be right at home. Finished in a rub through Orchard White Rub for an antiqued patina, the planked top, scrolled wood legs and angled cross bars are a harmonious blend of old and new. Exactly the right combination you've been looking for? We think so. 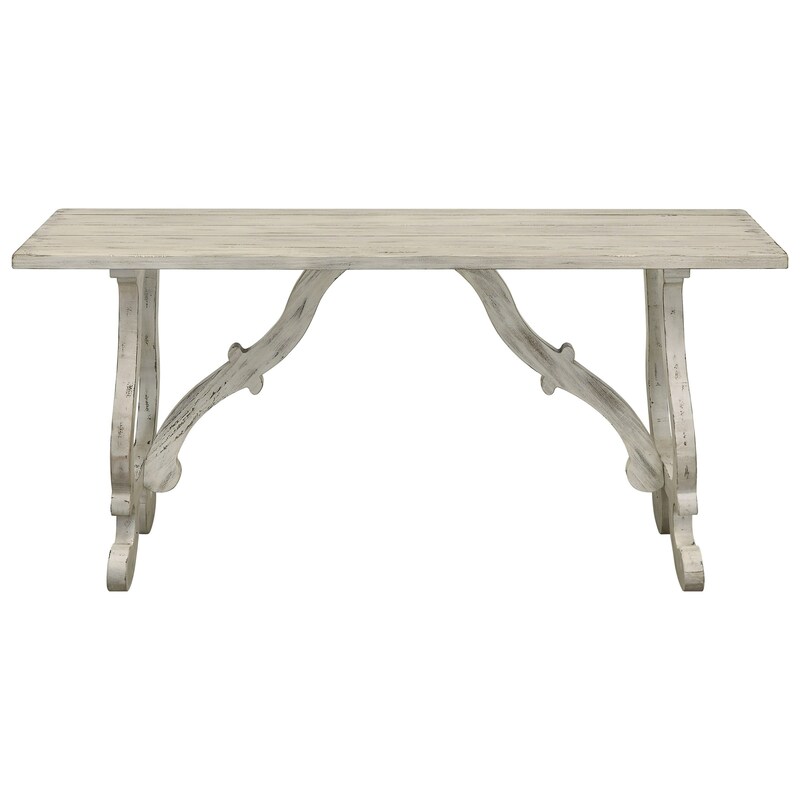 The Coast to Coast Accents Console Table by Coast to Coast Imports at Miskelly Furniture in the Jackson, Pearl, Madison, Ridgeland, Flowood Mississippi area. Product availability may vary. Contact us for the most current availability on this product.